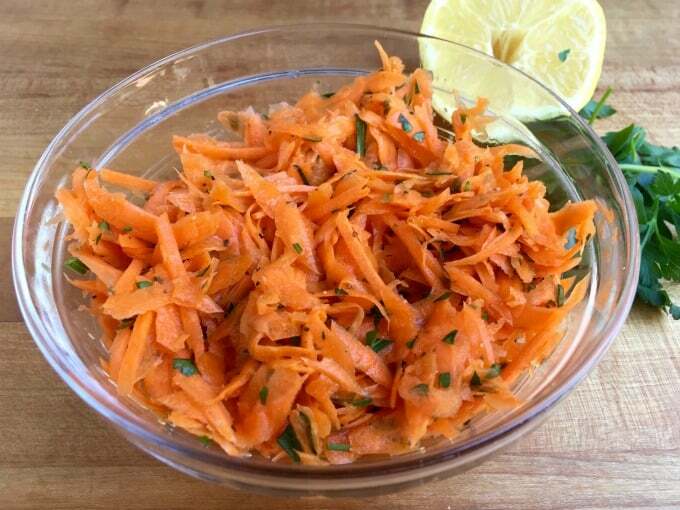 This simple and delicious French shredded carrot salad is made from shredded carrots tossed in a simple lemon dressing. It is a light and healthy, low calorie alternative without mayonnaise that is a cinch to make, keeps well, and is good for you. Just one taste and you’ll begin to understand how French women manage to stay slim while enjoying delicious food! My sister inspired me to try this raw shredded carrot salad. So if like her you hate cooked carrots be sure to give it a try. 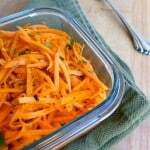 How Many Calories in this Shredded Carrot Salad? According to my calculations each serving has just 75 calories and *2 Weight Watchers Freestyle SmartPoints. 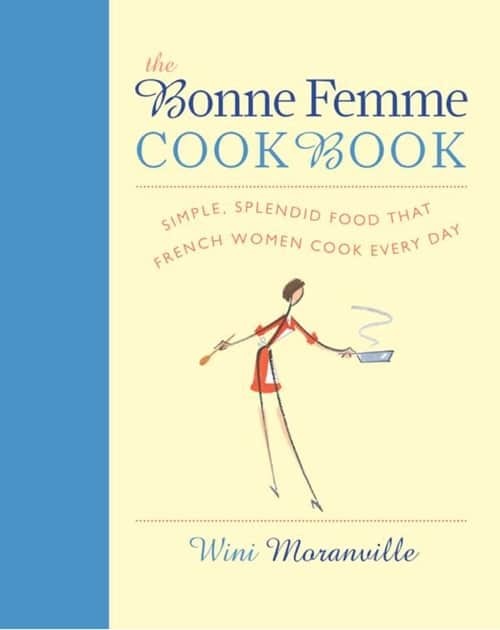 I slightly adapted this simple French shredded carrot salad, Carrottes Rapees, from one of my latest cookbook acquisitions, The Bonne Femme Cookbook: Simple, Splendid Food That French Women Cook Every Day (affiliate link), from Wine Moranville. I used only 1 tablespoon of olive oil—instead of 2. This decreased the calories by more than 100. We all loved it so it’s going into my regular rotation salad and vegetable rotation. Enjoy! 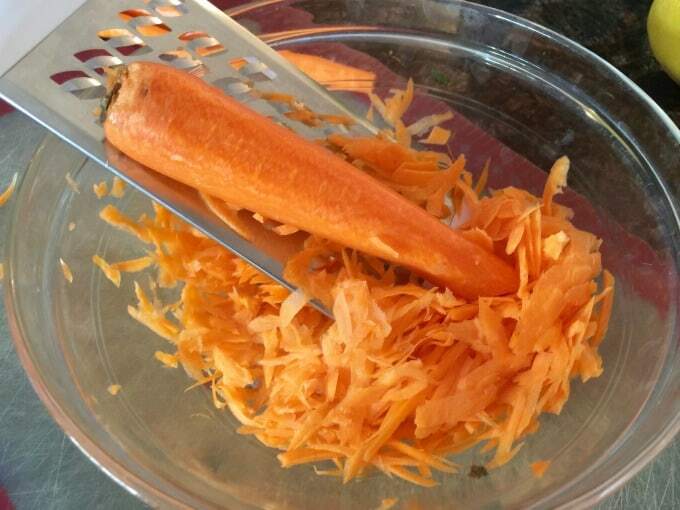 1/2 pound carrots, peeled and grated into long thin strips (about 3 cups) and placed in a large bowl. 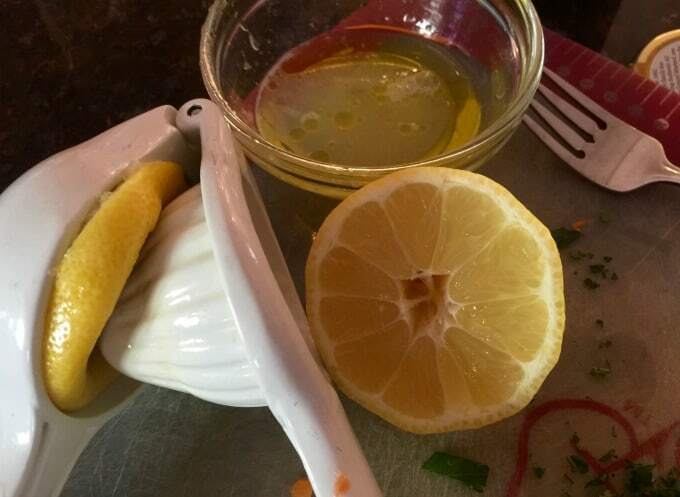 In a small bowl (affiliate link), whisk together the lemon juice, olive oil, sugar and mustard until well blended. Chill the salad for at least 30 minutes to give the flavors a chance to blend and toss again before serving. Substitute honey, maple syrup or your favorite sweetener for the sugar. Substitute mayonnaise for the olive oil. Add thinly sliced fennel and/or radish. Substitute fresh cilantro or dill for the parsley. Add some thinly sliced green onion/scallion. Add a sprinkling of sunflower seeds. Add a handful of golden raisins, dried cranberries or chopped dates. Add shredded or chopped apple. Add chopped nuts such as pistachios or walnuts. 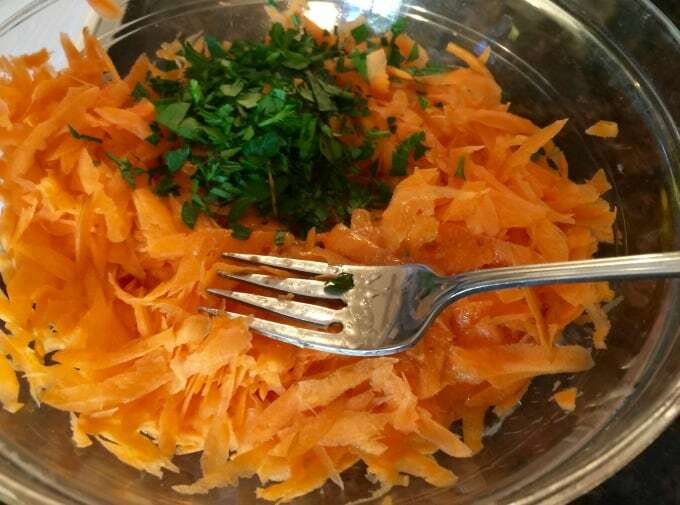 If you’ve made this shredded carrot salad, please give the recipe a star rating below and leave a comment letting me know how you liked it. This simple and delicious French shredded salad is made from shredded carrots in a simple lemon dressing. It is a light and healthy low calorie alternative without mayonnaise that is a cinch to make, keeps well, and is good for you. Just one taste and you'll begin to understand how French women manage to stay slim while enjoying delicious food! Place the carrots in a medium-size glass bowl. 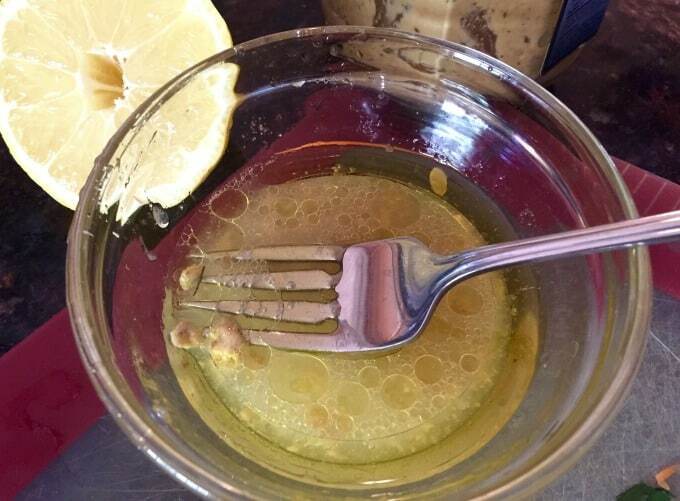 In a small bowl, whisk together the lemon juice, olive oil, sugar and mustard until well blended. Pour the dressing over the carrots. Add the parsley and/or chives. Season to taste with salt and pepper and toss to coat. Taste and adjust the seasonings to suit your tastes. 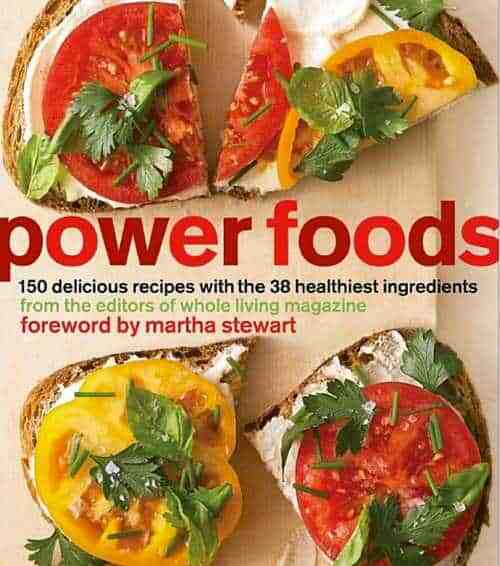 Fridays, a group of bloggers, led by Mireya of <em”>My Healthy Eating Habits, is posting recipes using the healthy ingredients from Power Foods: 150 Delicious Recipes with the 38 Healthiest Ingredients (affiliate link), by Martha Stewart and the editors of Whole Living Magazine. If you haven’t seen the book, it’s definitely worth taking a peek, especially if you’re trying to eat healthier. In addition to several recipes for each ingredient, there’s interesting health information, along with buying, storing, and preparation tips. We are now up to #8, Carrots, on the alphabetical list of vegetables. It turns out Bugs Bunny was right, chomping on carrots is a good thing to do for your health. They’re full of fiber, vitamin C, and beta- carotene, which your body converts into vitamin A, a nutrient essential for healthy skin and night vision. Carrots are richer in carotenoids than any other vegetable too, helping to protect you from cancer, heart disease and cataracts. 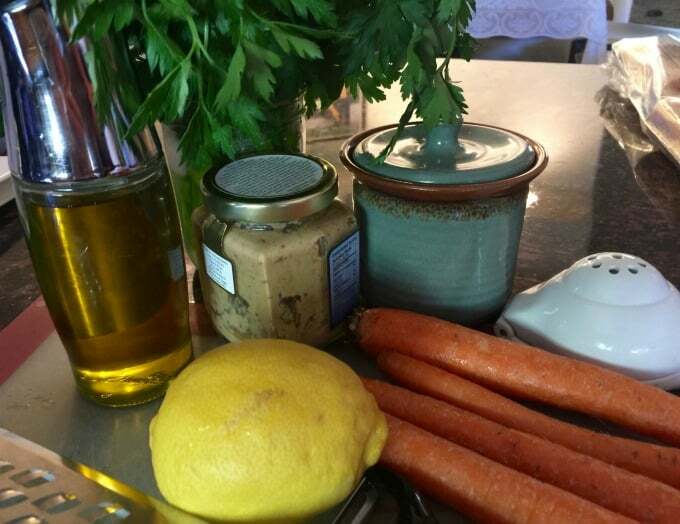 Because beta-carotene is fat soluble, it’s best to eat them with a little healthy oil so your body can more fully absorb the nutrients, making this French carrot salad recipe a naturally delicious & healthy choice. Update Notes: This post was originally published on August 3, 2012, but was republished with updated recipe notes, new video, updated instructions and nutritional information, including WW Freestyle SmartPoints in April 2018. This reminds me of the Moroccan carrots I made for the 50 Women Game Changers. Gorgeous use of color to attract us to healthy food! This looks amazing and I love the fact that it seems pretty straight forward. This is one to keep in the fridge to nosh on. Love it! 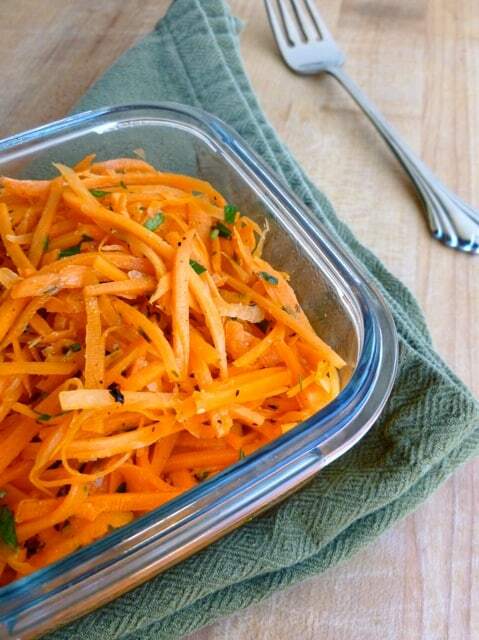 What a pretty carrot salad – love how simple it is to make. I’ve got a stash of fresh carrots in my fridge this week. Can’t wait to try this. Very beautiful. I love the simplicity. What a nice simple salad that I think, my family will love. Hope to make it real soon. 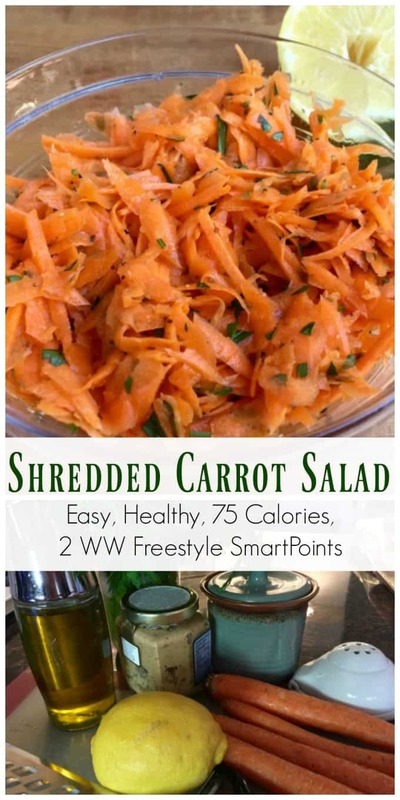 Simple carrot salad is a family favorite, and my husband can’t get enough of it. I like it best made with a fine shredder. The carrot salad was really good!! It will be a keeper! Thank you! Thanks for taking the tie to let me know Bonnie! I really appreciate it. Martha, I want you to know how much I appreciate your emails not just your recipes but how you come across to us as a very warm and caring person, thank you. I love all your recipes because they’re not just tasty but also very simple to prepare. I did send an email but I think I did something wrong?